There are currently no Senatobia notable alumni listed. Be the first to add an SHS famous alumni. The memorials below are for students of Senatobia High School that have passed away. There are currently no memorials for Senatobia alumni. The Senatobia High alumni site is made so that students and teachers from the Senatobia high school can reconnect with those that they met while attending high school. If you are a Senatobia alumn, we encourage you to register and be sure to sign up for the alumni newsletter. We also encourage you to keep up to date on news and reconnect with Senatobia High School alumni. Marcus Plair has someone searching for them. Jackie Oconner has someone searching for them. Laquesha Mabry has someone searching for them. Annette Plair has someone searching for them. 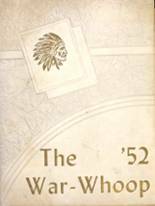 Barbara Hulette requested a SHS yearbook from 1972. Barbara Hulette registered as a SHS Class of 1972 alumni. Nick Steward registered as a SHS Class of 2000 alumni. Nick Steward added photos to their personal photo gallery. Nick Steward updated his profile picture.